The Nazi forces are struggling with the offensive into the Soviet Union during World War II, so they turn to the supernatural in an attempt to further their war efforts. 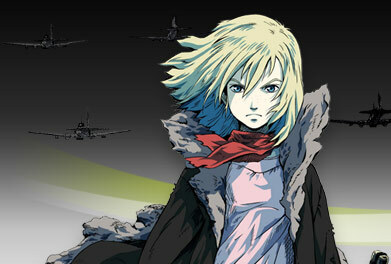 In their way is psychic 14-year-old Nadia and the forces of the 6th Division. It's her job to stop the Nazis and the long-dead Baron von Wolff or the war may change the Soviet Union and the world forever. 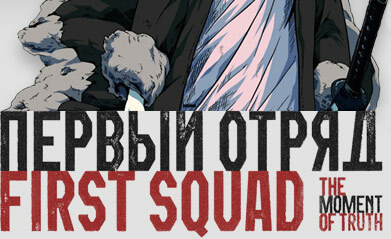 Long time no issue! Yes, we had to take a LONG break, but we're back and Tim gives you a little insight into the what and why for the long silence as we return from parts unknown and where we hope to go from here. New to the anime scene? Need suggestions on what to look for first? Here's a place to get some ideas! Yes, it's been a long time since we've seen one of these. 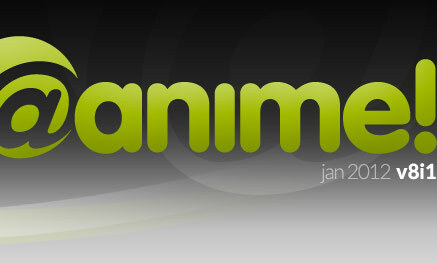 Come with us as we take a look at the latest set of domestically released anime with the 2012 version of the @a! Top Whatever list. It's the most deadly, insane and totally illegal race in the universe and anyone that is anyone in the racing world wants a piece of it. JP, a reckless dare-devil of a driver has his sights on the prize, but there's plenty of things to get in his way to the checkered flag in the exhilarating motion picture, Redline. Satsuki and her family just moved to a new house, a new town and a new school. Danger and intrigue lurk in the old, abandoned school next door. After chacing her cat into the old school, she and a group of new friends must find a way to stop the ghost haunting the school from taking over! Loki has been cast down from the realm of the Gods and has been forced to live among the mortals on Earth in the body of a young boy. In efforts to find out the reasons for his exile, Loki opens a detective agency and is contacted by a high school girl named Mayura who has dreamt of becoming a detective all her life. Join Loki, Mayura and company as they look for answers in Mystical Detective Loki Ragnarok. With a new game coming this year, we take a look at Sly Cooper and Friends in their last outing! In the third installment, Sly must find a way to get into his family vault, now under the control of the insane scientist, Dr. M. You have new challenges, new puzzles and new members of the Sly gang in Sly 3: Honor Among Thieves.